I savor the thrill of new beauty products. Skin care, hair care or cosmetics- I love it all, but anything new does get preferential treatment. 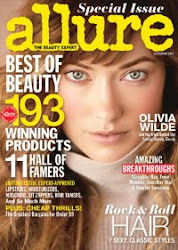 2012 was a good year for beauty-- natural and otherwise. My eyes have been opened to the benefits of going organic whenever possible, so my obsessive label-reading habit has hardly abated, but has definitely changed a bit. I used to just look for the names of cosmetic chemical compounds which contain whatever it is I need in my products, now I scan for natural ingredients as well. Not every product will be ideal for everyone, but the following gems have really caught my attention and have made a difference to me. This treatment toner from In Fiore is like nothing else out there. Loaded with natural ingredients like aloe juice, Irish moss, apple cider vinegar, comfrey and willow bark, it's a superb non-abrasive exfoliating treatment and also the perfect product to use when your skin needs to detox. Its job is to boost circulation and clear the path for whatever actives you use next. For me, it makes my pores appear smaller and in the morning, my skin texture overall is much finer. It also goes a long way in preventing breakouts. I'll be honest here, I have a gazillion face and body oils. This one is most definitely in my top 5 favorites EVER. Aftelier oils are unique in my collection due to how well they are absorbed into my skin and the generous amounts of creatively-used, high-quality ingredients in them. The Wild Orange & Blood Cedarwood oil is so light that my skin drinks it right up, squashes any and all dryness, and leaves the faintest healthy sheen that looks like you've just spent a half hour painstakingly applying luminizing cream. A huge bonus: when one of the most talented perfumers in the world creates skin care products, you just know they're going to smell amazing. The fragrance of the best wild orange essence and the best cedarwood oil graciously lingers on the skin for hours and makes me incredibly happy, which makes it a very effective aromatherapy product as well. This little bottle is filled with heavenly things, and it's such a pleasure to use. 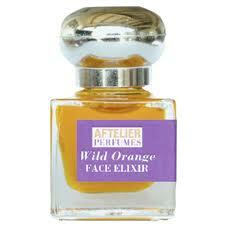 I use it on damp hair and then air dry, while simultaneously enjoying the subtle, delicious scent of tuberose. 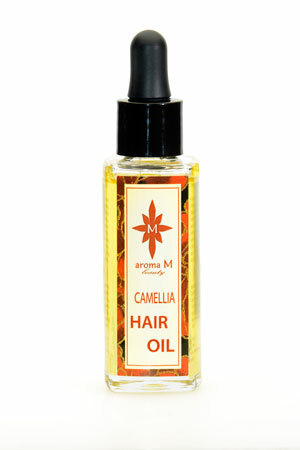 It makes my hair extremely shiny and healthy looking, and it only takes a few drops for an entire long mane. I've come to realize this year that camellia oil (green tea) is a most beautiful and useful thing, and is wonderful for all skin types and hair types. 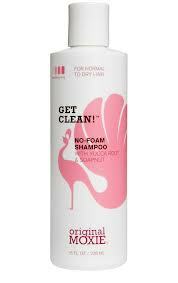 This is definitely a must-have hair product that I hope to keep myself stocked well with. I love this natural cosmetics line from LUSH. I love the bottles, the formulations and the wacky fortune-cookie-like theme to them. The colors are fantastic, and I do hope they add more of them in the coming year. With one mascara, a bunch of eyeliners, lipsticks and eyeshadows, there's lots of room for additions. Beautiful, well-performing and captivating colors. 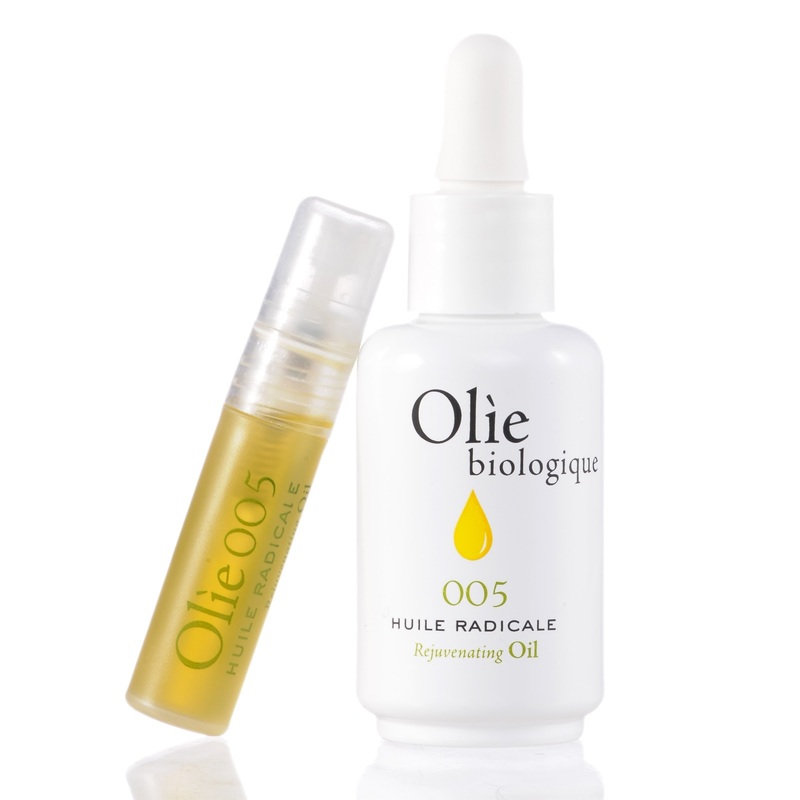 Here's my new fave from Olie Biologique- also a camellia-based facial oil, Radicale 005. The first time I used this oil, I looked at the supernatural glow of my skin and had to laugh, it was just too crazy how my skin went from kinda icky and flaky to glowing and super-hydrated in one minute flat. Along with camellia are a bunch of other radiance-boosting anti-aging ingredients that plump the skin up so well that you won't stop using it until the last drop is gone. Then, you will plot and plan how you're going to buy more. Truly fabulous. I mean, just look. 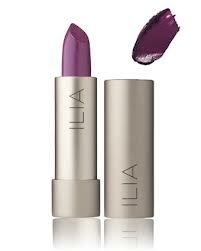 I have both of these organic lipsticks, and I know they look a bit extreme in the tube, but they are gorgeous (and I mean BIG time gorgeous) on the lips- sheered out or full on. If you're looking for a cool-toned bright fuschia, look no further than Neon Angel. And for the slightly more daring set, Ink Pot offers an indigo-deep purplish shade that works beautifully as a stain and as an unexpected shade for full-coverage. The next time I have the opportunity, I'm wearing my Ralph Lauren tuxedo to a fancy event, and I'll have Neon Angel or Ink Pot on my lips and the rest of my face bare. I need to try and have a Tilda Swinton moment before I kick the bucket. I adore RMS' organic pots of gorgeous, organic makeup. 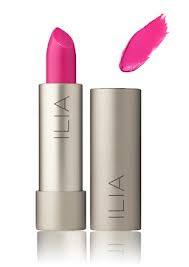 A couple of new shades were added to existing products that I feel were noteworthy. 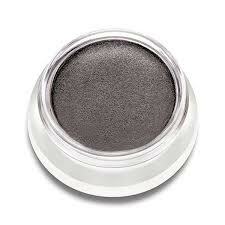 Directly below is Cream Eye Shadow in Karma- a wonderful sooty, muddy brownish black. Perfect for creating an imperfect smoky eye. 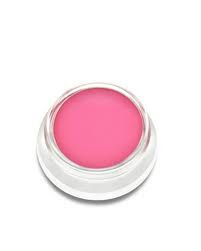 Below that is the new Lip Shine color that I wore all summer long-- Sublime. Man, do I love a good cool-to-neutral toned pink for the face, I just can't get enough. The Lip Shine formulation is very hydrating and doesn't need excessive touch-ups like some glosses do. There is a major color payoff here. These facial sponges have come to the US from Korea, and I got mine via NuboNau.com, which is where I get pretty much everything. I will admit my initial confusion about the product, but it's pretty simple actually. There are different colors of sponges for different skin types, and they are infused with the kind of fine clay that is best for your skin type. In my case, I have sensitive, dry skin so I get the French Pink Clay. If I wanted to, I could also use the white or red ones (ultra-sensitive/baby and anti-aging/mature respectively. The sponge expands moderately in water, and it's very squishy and dense. You massage in circles all over the face, with or without cleanser, and the result is a porcelain-like smoothness to the skin. Yep, the clay infusion actually works as a gentle cleanser and pore-refining treatment. 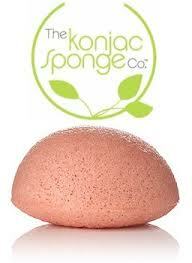 The sponges last 3 months, are reasonably priced and are just plain fun to use. Now, as near as I can tell, the last two products on my list may not have launched in 2012 exactly, but when I discover products this good and vitally important to me, I'll let it slide with full disclosure. They're so much a part of my beauty routine now, that I feel I'd be gravely remiss by skipping them. I am addicted to these lip balms. Nothing has come close to providing that intense, quenching feeling of having really well moisturized and protected lips since I've cut out all mineral oil and petroleum based products. I love everything about them-- the soothing, fragrant goodness of cocoa butter, the fact that they are organic, and I especially love not EVER having dry lips. Ever. This creamy, non-lathering natural shampoo has saved me from quite a bit of color loss, dryness and scalp irritation in the several months that I've been using it. It's been a major revelation. Taking care of my super-long black, thick and slightly wavy hair is always a challenge, but it's so wonderful to have a product like this that is so nourishing and gentle that also cleanses really well. I'm so impressed by the Original Moxie line that I really don't like to use many products from other brands if I can help it. Nothing else is quite as good. 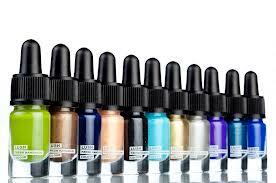 What were your favorite beauty discoveries of 2012? Are there any you can't live without now? I almost bought one of those Badger lip balms the other day but talked myself out of it. I really don't need another balm, but a balm that actually works, well, now I'm reconsidering. I switched to a non lathering shampoo this past year too. It's too soon to tell how I'll like it in the long term but so far I have to say my hair condition is better. Now if I could just get it to stop falling out so bad. I used to have problems with my hair falling out excessively too, until I switched to Original Moxie. I lose a lot less hair than I used to- it's a nice bonus! Another brand that's great for strengthening hair and preventing fallout is Rahua. 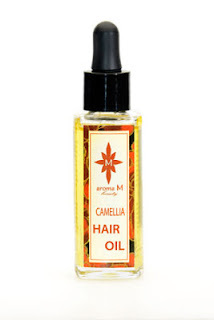 I am so honored to have my Hair Oil selected for your best of list Carrie! Thank you so much, it's a thrill to be in such illustrious company. Happy New year! I can't even put into words how much I adore the hair oil, it truly is fabulous! Happy New Year to you too, Maria! 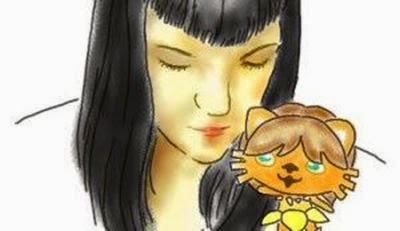 I love your blog and thank you for this honor of being among your terrific Best of Beauty choices! 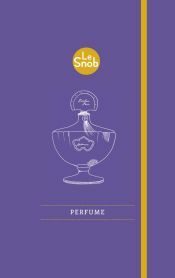 I stare blankly at discussions of non-perfume beauty products with the same bafflement as...well, a guy. Maybe more than the average guy; guys have their skin and hair products nowadays, right? It's a whole realm of girly that, like designer shoes, I just don't get. I can imagine liking them, can imagine a kid-in-a-candy store delight like the delight I have for...um... well, really pretty office supplies. Or, of course, candy. But I don't get it. I suspect that part of my girliness was accidentally allotted to someone else when I was created. Winner of the 2013 Indie FiFi Award!